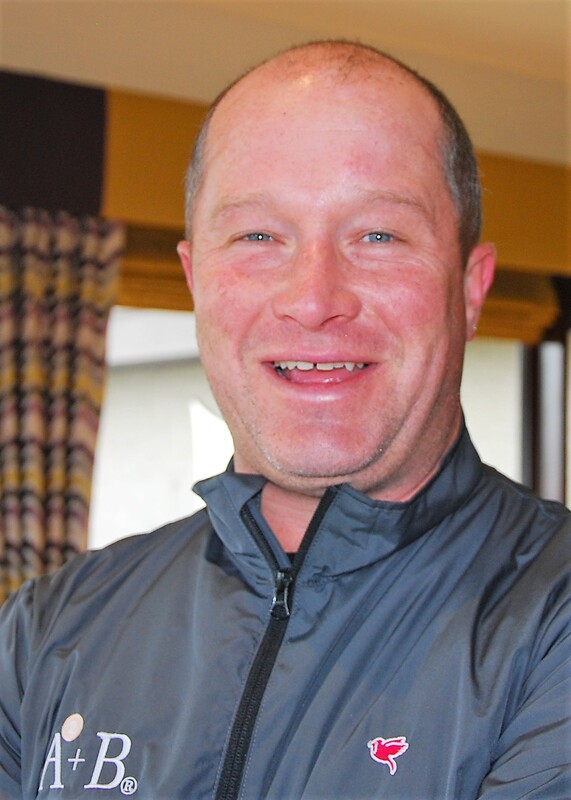 Greig Hutcheon (Paul Lawrie Golf Centre) won for the fourth time this year with a four-under-par 66 at the McDonald Ellon pro-am, sponsored by James Jamieson Construction. Hutcheon (pictured) lifted the £1,163 top cash prize with a round of seven birdies (first, fourth, 10th, 13th, 14th, 15th and 16th) in halves of 36 and 30. His earlier wins this season have been achieved at the Deer Park Masters and pro-ams at Turriff, Pollok and now Ellon. Greg McBain (Newmachar) and Graeme Fox (Clydeway Golf) shared second place on 67. McBain had a bogey-free round and a strong finish with birdies at the 13th, 14th and 16th in an inward 30. Patrick McKenna (Portlethen) and the "McDonald Men" won the team event by two strokes with a best-ball score of 19-under 121. 66 G Hutcheon (Paul Lawrie GC). 67 G McBain (Newmachar), G Fox (Clydeway Golf). 68 S O'Hara (N Lanarkshire Leisure), P O'Hara (N Lanarkshire Leisure), C Currie (Erskine). 69 K Zeynalov (Portlethen), N Fenwick (Dunbar). 70 P McKenna (Portlethen), M Patterson (Cruden Bay), L Gaughan (Bathgate). 71 M Mackenzie (Edzell), C Curran (Bathgate), S Gray (Lanark). 72 G Hay (Mearns Castle), K Nicol (Dunes), R Cameron (unatt). 73 S Henderson (Kings Links), A Cooper (Newburgh), G Forbes (Murcar Links). 75 C Nairn (Prestwick St Nicholas), N Colquhoun (Merchants of Edinburgh). 76 A Duncan (unatt), C McMaster (Downfield). 78 G Hardy (Prestwick St Nicholas). 86 R Mitchell (Paul Lawrie GC).